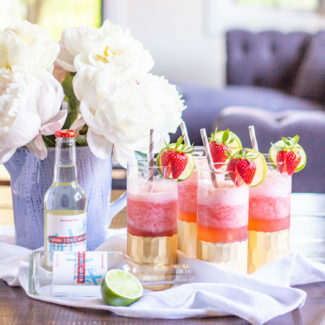 Learn how to make a Negroni Slushy and impress your friends with a frosty boozy summertime treat! 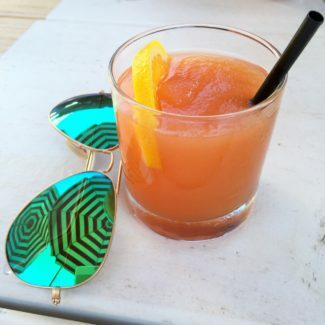 If the city of Chicago had an official drink of summer, it would likely be the Negroni Slushy. The frosty Negroni Slushy burst on to the cocktail scene when Parson’s opened its doors. Parson’s is known for their sprawling sunlight patio with red and white striped umbrellas filled with hipsters sipping Negroni Slushies and eating fried chicken. A traditional Negroni is simply made with equal parts Gin, Sweet Vermouth, and Campari. 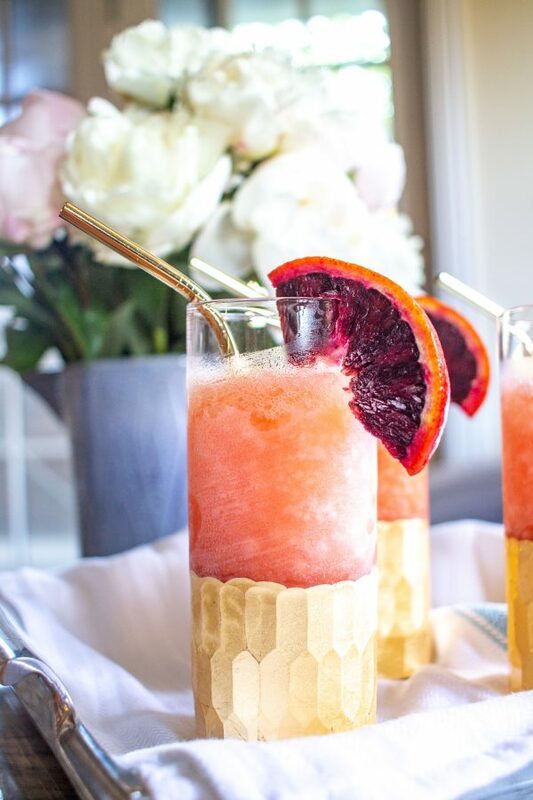 A Negroni Slushy is more of a negroni inspired cocktail since it has several additional ingredients, including orange juice, grapefruit juice, and plenty of ice. The taste is a balance of citrus and bitter. 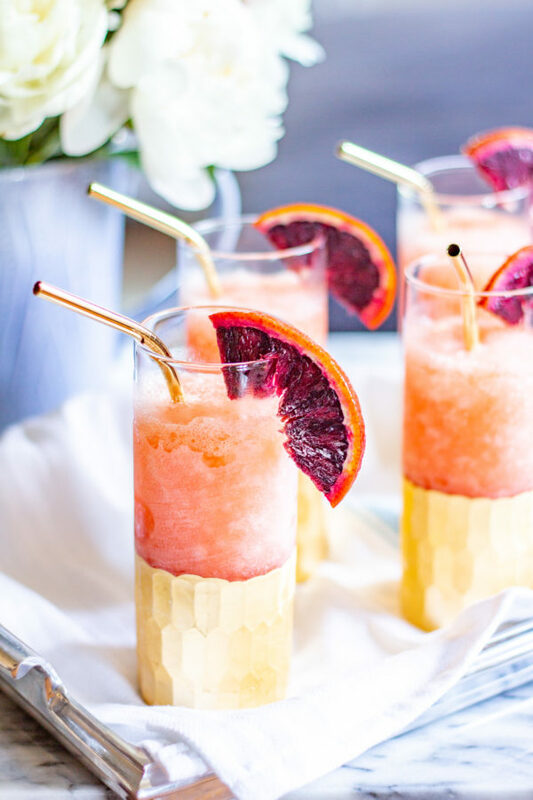 A Negroni Slushy is the ideal drink to enjoy on a hot summer day. It cools you right down. It is best enjoyed outside with friends. 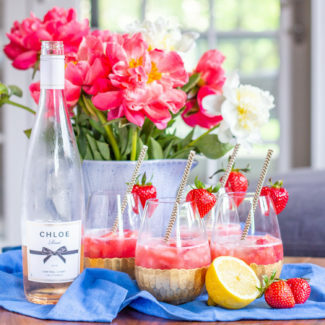 It’s an ideal drink to serve at a rooftop or garden party. I chose to make my Negroni Slushy with Campari, even though the official Parson’s recipe called for Luxardo Bitter. 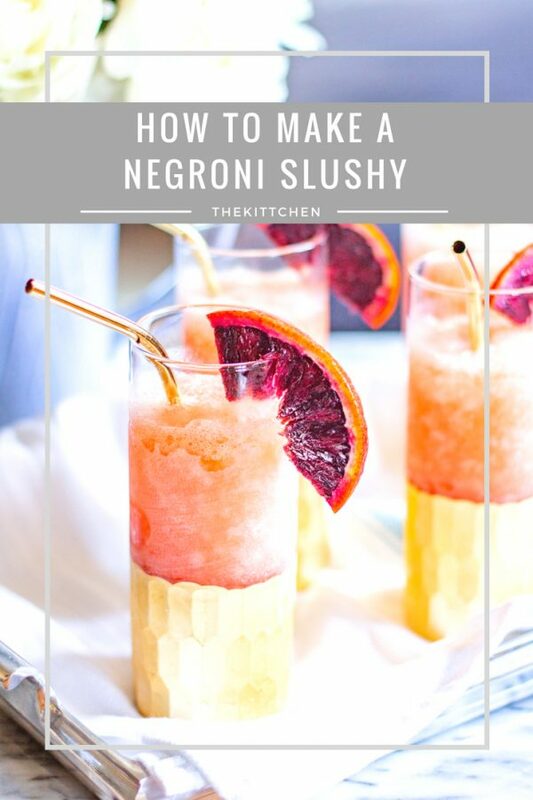 This gives my Negroni Slushy a more pink color. I also slightly toned down the booziness of Parson’s recipe because theirs is strong and bitter – it packs a punch. 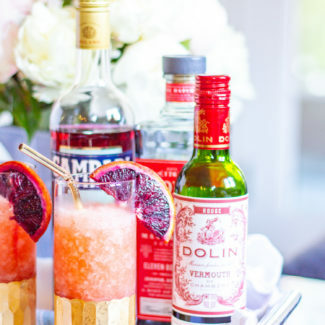 My Negroni Slushy has a touch more sweetness and isn’t so strong that you will think twice about having a second. 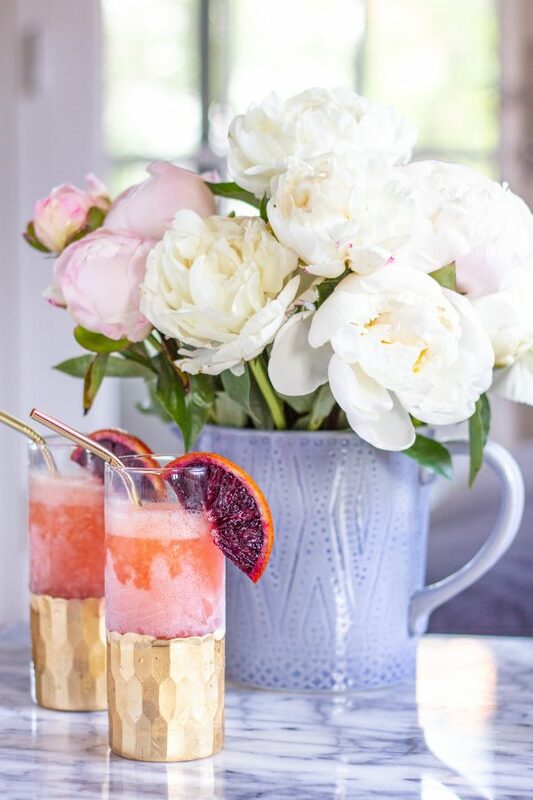 One of the best things about this recipe is that you can prepare the Negroni Slushies in advance! Just blend them up and pour into a container, cover, and put in the freezer. Use a fork to break up the iciness that forms and serve. This recipe serves 4, and it really is the maximum amount that you should put in a blender. So if you want more than 4 servings, make them in multiple batches. And just a quick note on my blender. I have a standard KitchenAid blender and I love it. It has been able to handle every job that I have thrown at it over the years. 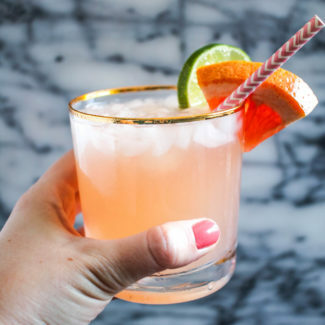 If the city of Chicago had an official drink of summer, it would likely be the Negroni Slushy. The frosty Negroni Slushy burst on to the cocktail scene when Parson's opened its doors. Parson's is known for their sprawling sunlight patio with red and white striped umbrellas filled with hipster sipping Negroni Slushies and eating fried chicken. 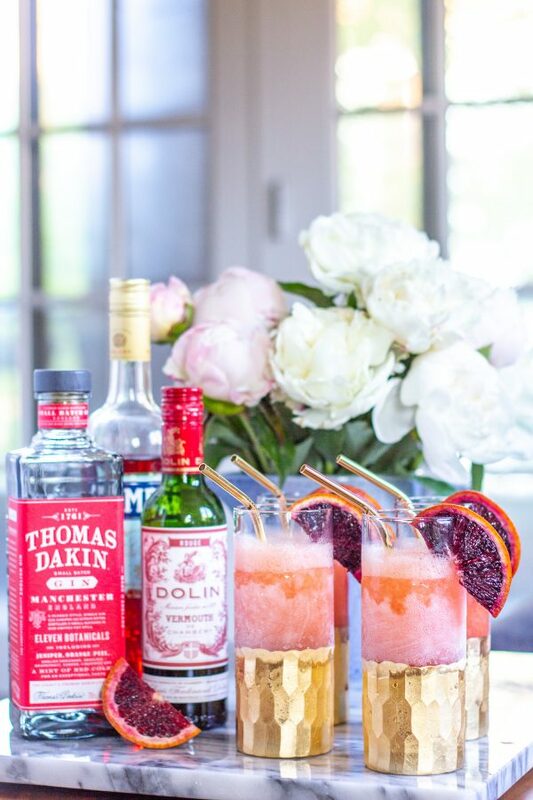 Pour the gin, sweet vermouth, campari, orange juice, grapefruit juice, and the ice into a blender, and puree until the mixture is a smooth slushy constistency. 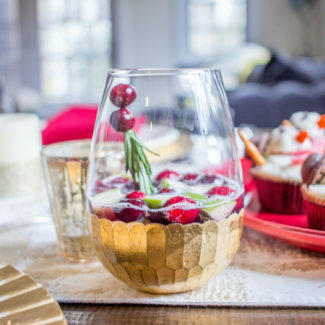 Either serve right away, or pour into a container and place in the freeze and serve later. 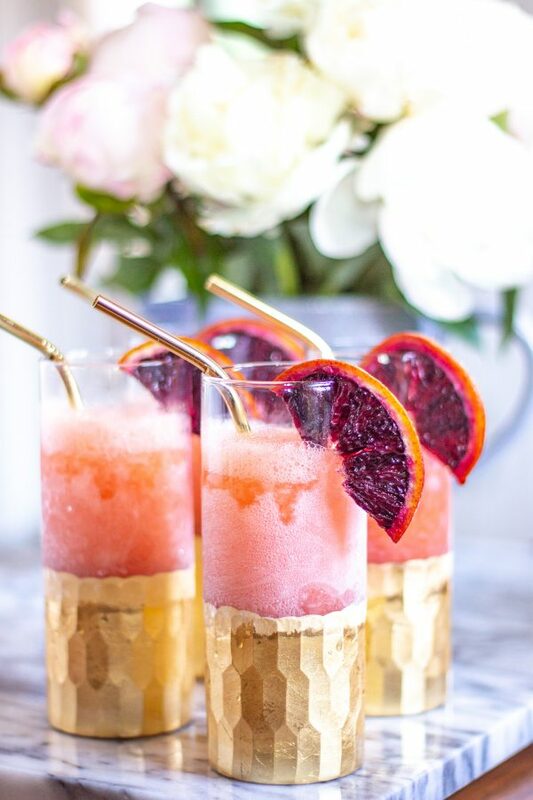 Garnish with orange slices. 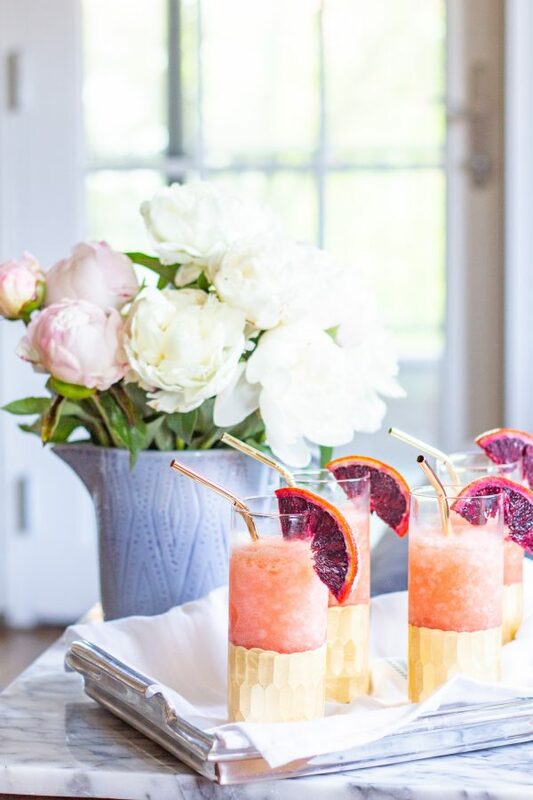 One of the best things about this recipe is that you can prepare the Negroni Slushies in advance! Just blend them up and pour into a container, cover, and put in the freezer. Use a fork to break up the iciness that forms and serve. 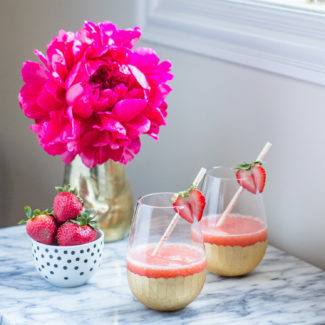 This recipe serves 4, and it really is the maximum amount that you should put in a blender. So if you want more than 4 servings, make them in multiple batches.